Provides a reassessment of the peoples who lived in Scotland from 1500 BC to 200 AD. Although there are few historical sources, there is archaeological evidence for life and society in this period. The book weaves this evidence into a picture of the lives, beliefs and customs of that time. This book provides a reassessment of the peoples who lived in Scotland from 1500BC to 200AD. Although there are few historical sources there is a great deal of archaeological evidence for life and society in this period. The author weaves this evidence into a picture of the lives, the beliefs, the customs of those distant times. 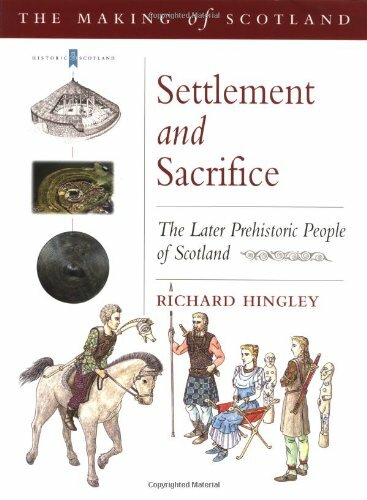 It was an age both of war, and of peaceful settlement, an age of animal and, occasionally, human sacrifice in a Scotland far different from that of today. The author also looks at climate and environment and the evidence that, even then, man was profoundly changing the landscape he lived in.